Amatrol’s 96-PLS2 Plastics Technology 2 Learning System adds to the 96-PLS1T to teach plastics blow molding and extrusion. Blow molding is a popular method for processing plastics, consuming about 10% of all plastics worldwide, due to its economic cost and low finishing requirements. Extrusion is used for two dimensional shapes like pipe, tubing, etc. and can be used in combination with blow molding. 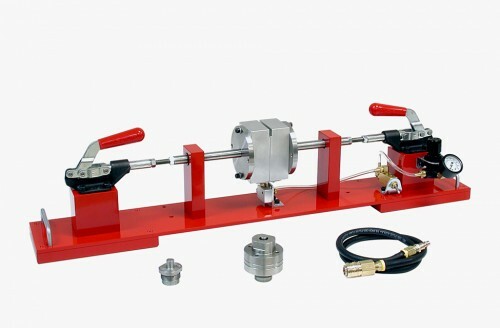 The 96-PLS2 includes a clamping system, extrusion die for use with blow molding, pneumatic blow system, starter mold for blow molding, extrusion die, interactive curriculum for both theory and lab, and a teacher’s assessment guide. 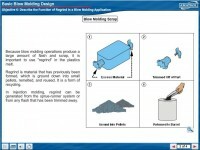 Students will learn skills such as creating a plastics part using a blow molding operation, troubleshooting blow molds, designing a blow mold using CAD/CAM, creating a blow mold using a CNC machine, creating a plastics part using an extrusion operation, and testing an extrusion for uniform diameter. Amatrol’s 96-PLS2 Plastics Technology 2 Learning System includes interactive multimedia curriculum that’s the perfect instructional tool for today’s classroom with an exciting presentation and high quality learning content. Each topic’s presentation includes extensive videos, 3D animations, interactive exercises, and colorful graphics that will motivate students and help them learn more effectively. Amatrol multimedia software is skills-based and provides a complete learning experience for the student with theory presentation and hands-on exercises.